Optometrist in Vancouver | See for Life- Dr. Mini Randhawa, developmental, childrens' optometrist: Fake doctors injecting fake Mexican Botox in Vancouver. Buyer beware. Fake doctors injecting fake Mexican Botox in Vancouver. Buyer beware. Many people seek out Botox injections to reduce wrinkles and frownlines around their eyes and between their eyebrows. Here in British Columbia, there are unlicensed people, fake doctors, injecting fake Botox and harming their clients in the process. 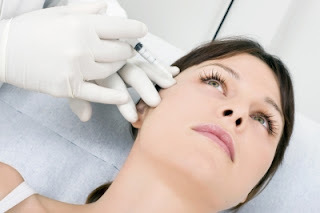 Health Canada regulations stipulate that only a physician can inject Botox. Moreover, Allergan, the company that makes Botox only supplies it to real physicians. However, that does not stop fake doctors from ordering fake Botox from places like Turkey and Mexico. "As described in the Botox product monograph, Botox should only be prescribed and administered by a physician. If Botox is used in any way other than that described in the product monograph, it would be considered to be a contravention of the Food and Drugs Act." CBC has done a story on this problem, which is rampant in Vancouver, as indicated by the large number of beauty clinics offering Botox but with no MD on staff. A CBC producer made an appointment at Queen's Park Laser Skin Care Centre in Richmond, B.C., and was told she would see a doctor. Eddie Lee, who admitted he is not a doctor despite certificates on the wall bearing the name "Dr. Lee," told the CBC producer he could make her cheeks thinner with six injections of Botox for $450. "Yes, you need to be a doctor [to inject Botox]," he said. "I'm not a doctor … so is not illegal, and is also not legal either." Even though Lee admitted that he was not a doctor, he had certificates on his wall representing himself as one and his staff would tell clients that Lee is a doctor. How do people like Lee get away with controvening the Food and Drug act on a daily basis with impunity? Lee justified his misrepresentations and law-breaking by saying that he has been trained to inject Botox by doctors from around the world. I bet those doctors are as much a fraud as Lee himself. At Another clinic in Vancouver called EuroCharm Medical Spa, a CBC reporter was told a doctor would prescribe and inject her with Botox. When questioned, the "doctor" admitted that she was not a physician but said that she was a naturopath. As it turned out, that was not true either and, in any event, naturopaths are not allowed to prescribe Botox. To top it all off, the "doctor" at EuroCharm did not even inject her clients with botox but with some mystery substance that she misrepresented as Botox. One of EuroCharm's unfortunate clients sufferred a collapsed eyelid and her eye was swollen shut for two weeks. Unless the appropriate regulatory authorities step up enforcement or the injured clients stand up for themselves and sue, it will be the wild west of medical care in British Columbia. Buyer beware. Click here to read the follow-up CBC story that suggests that regulators will be taking some action on this issue.